signed up at or purchased products from hormonesolutions.com or Lawley Australia. 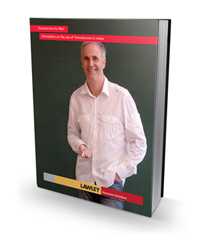 An exciting and often challenging 2012 has been one of great advancement for Lawley Australia. 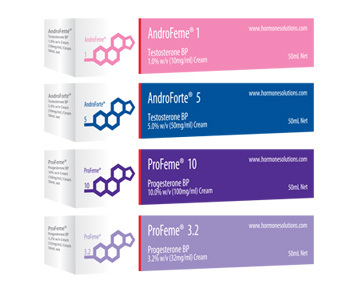 Our AndroForte and AndroFeme testosterone creams for both men and women have caught the attention of the world's medical professionals because of their cost, clinical efficacy and ease of use. The appointment of ILS Ltd in February as our independent international distribution agent has proved to be highly successful. ILS has a 100% success rate with USA deliveries and achieved faster delivery times compared to shipments sent from Australia. As a result ILS Ltd will process and ship all international online orders for the Lawley product range commencing 15 November 2012. Lawley will now only ship directly to medical practitioners and hospitals. 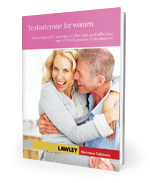 The Lawley Australia websites will continue to operate and provide the latest in hormone information. Any requests for orders will be transferred directly to the dedicated Lawley product cart page at Hormone Skin Cream. See below for more details about ILS Ltd. This year has also seen the successful completion of a major clinical trial comparing our AndroForte 5 testosterone cream for men with AndroGel 1% testosterone gel. AndroGel is the USA market leading testosterone product (marketed outside the US as Testogel). The study was a head-to-head comparison study that showed the two products to be "bioequivalent'. Bioequivalence means that they are absorbed and work in the same way. The obvious difference is the user-friendly nature of AndroForte and the significant price difference!! This study will be the cornerstone for a future application to the US FDA for full registraion of AndroForte 5. The results of this study are expected to be published in 2013. Finally, Lawley is sponsoring the world's first human study using testosterone as a preventative treatment for Alzheimers Disease. Professor Ralph Martins heads the internationally renowned McCusker Alzheimer's Disease Research Foundation and is the lead investigator. The protein beta-amyloid is believed to be critical in the development and progression of AD. In animal studies Professor Martins identified testosterone as a key hormone in prevention of beta-amyloid accumulation in the brain. This study is a two-year human study examining the effect of testosterone in patients identifed at high risk of developing AD with poor memory function. The study gets under way next year and will take two years to complete. ILS Ltd is based in Israel with operations in Australia, Georgia, Israel, India and the USA. ILS Ltd is committed to sourcing the highest quality products available in the world and provide them to our US and international base of customers. They have extensive international shipping and customer service experience and are now the sole international distributor of all Lawley products via Hormone-Skin-Cream. Hormone-Skin-Cream is a fully-owned subsidiary of ILS Ltd. Customer service is what Lawley and ILS Ltd consider as our major priority. Below is feedback from a Customer who has dealt with ILS Ltd.
For the past seventeen years I have been at the coal face of hormones. I have worn many hats as a pharmacist, educator, researcher, speaker, product developer, company executive, researcher and consultant. I deal with both patients and medical professionals on a daily basis. The internet is a fantastic tool for keeping up-to-date with the latest developments in hormone research. Joining the dots and linking all the threads of research then implementing this knowledge to manage an individual patient's condition is one of the big challenges for today's doctors. Twice a week I set aside a couple of hours to scan the internet for the latest developments in hormone research. Just this week I have set up a Blog to share these latest findings. My first post is about a female patient who had been advised to have a hysterectomy that she was really certain about. She felt that her doctor was bullying her into the procedure. Her frustration with the lack of credible information available to patients typifies the many questions I recieve. Hopefully as I add more Blog posts my shared findings will help others. Alzheimer's disease (AD) is a progressive, degenerative neurological condition caused by nerve cell death resulting in atrophy of the brain and eventually death. Alzheimer's is the most common form of dementia, representing 50% - 70% of all incidences. It is often associated with older persons but it also affects younger people. Dementia is predicted to become the number one health issue in the developed world this century if treatments are not discovered. The hormone testosterone represents a potential preventative treatment for AD. Several studies have reported that compared to controls, men with AD and other dementias have lower serum and brain levels of testosterone. Furthermore a reduction in testosterone levels is associated with an increase in the blood of the protein beta amyloid levels in dementia and in men that have undergone chemical castration. Beta-amyloid is believed to be critical in the development and progression of AD. Animal and cell culture studies have provided support for the therapeutic potential of testosterone. Until recently AD could only be confirmed once a patient had died and the dissected brain could be examined for "beta amyloid deposits". Technology advances now allow for beta-amyloid imaging in living subjects. 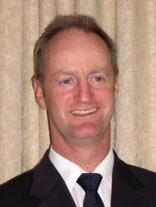 Lawley Australia is a participant in a collaborative project CRC for Mental Health. Lawley Australia is sponsor of a world first human study to assess the efficacy of testosterone replacement as a preventative strategy for developing AD. Unlike many "scientific breakthroughs" that are reported in the media, patients and family are often frustrated because treatments take up to 10 years or more to become available. If the findings confirm the preliminary work done thus far testosterone may be an immediate answer to slowing the prevalence of AD. Why testosterone cream applied scrotally is more effective than testosterone gels applied to the upper body? We are regularly asked the question about the use of AndroForte 5 testosterone cream versus testosterone gels. In short, the main difference is 1% testosterone gels (such as Androgel, Testogel and Testim) are applied to the upper body (abdomen, chest, shoulders and arms) whereas AndroForte 5 testosterone cream is applied to the scrotum. Scrotal skin is more receptive to steroid absorption due to its composition, high blood flow, thickness of the skin and low fat content. Testosterone cream applied to the scrotum achieves significantly higher testosterone blood levels than the equivalent amount of testosterone applied to other areas of the body. Because the gels are alcohol-based they cannot be applied scrotally due to the sensitivity of scrotal skin - they burn!! Additionally, because AndroForte is a 5% strength testosterone cream the volume of cream required is small compared to the usual 5 or 10cc's needed from 1% gels. The scrotal area is small and its impractical to apply a large volume of gel. Using a 1mL (50mg testosterone) daily dose of AndroForte 5 testosterone cream there are 50 doses (50 days) supply in each tube. Blood levels should be checked after 30 days use due to individual variation in the degree of absorption. Often, men can reduce the dose of AndroForte and maintain excellent testosterone levels which is more cost effective. The information booklet shown below provides the answers to most frequently asked questions. A wonderful summary of the efficacy and safety of using testosterone in women with low libido was published in the Journal of Se*ual Medicine earlier this year. Two of the world's leaders in women's health authored the paper which examined the use of testosterone for relief of symptoms of low libido (hypoactive se*ual desire disorder) in surgically and naturally menopausal women. The available safety data was reassuring with respect to effects of testosterone on the breast, heart and uterus. They concluded "transdermal testosterone appears to be an effective and safe therapy for postmenopausal women with HSDD". Journal of Se*ual Medicine 2012;9:1134–1148. In July, a paper in the American Heart Journal hammered home the fact that erectile dysfunction (ED) is a greater predictor of impending heart attack than traditional risk factors such as smoking, high cholesterol and family history of heart failure. In men 40 to 49 years of age with ED there was a 50-fold higher incidence of new episodes of coronary heart disease than those without ED. In older men, 70 years and older the risk was increased 5-fold. The story for cardiovascular risk in men less than 60 years of age with diabetes and ED is also dire - there is a 35% increased risk of cardiovascular events. The author's message is clear "we encourage physicians to enquire about ED symptoms in all men more than 30 years of age with cardiovascular risk factors".